State and local taxes of 14.45% will apply. 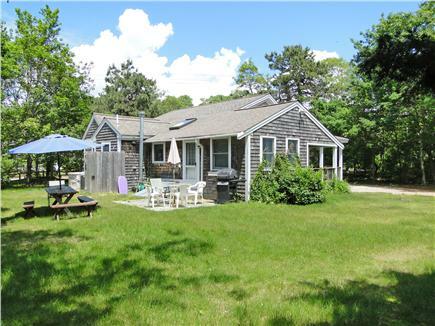 Bright pleasant house located approximately 5/10 mile from popular Sea Gull Beach, a warmer water beach on the south side of Cape Cod. Two bedrooms, total of five rooms, plus one full bath. Futon in living room for additional sleeping area. Hardwood floors, ceramic tile, cathedral ceilings, fully equipped eat in kitchen with dishwasher and skylight, Direct TV, 40'' flat screen LCD TV, DVD, high speed wi-fi internet, central air conditioning, ceiling fans, washer/dryer in basement, outdoor shower, gas grill, circular driveway with parking for several cars, free unlimited phone calling to anywhere in the US and Canada. 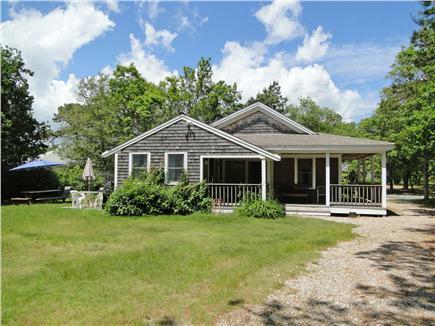 Nice, good sized, level yard, covered outdoor farmer's porch wrapping around half of house, patio in back of the house. 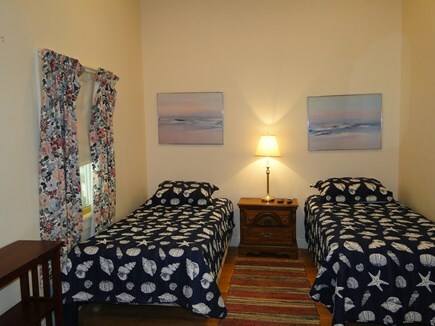 Private, yet near beaches, restaurants, nightlife, golf, fishing, shopping, ferries to the Islands. One quiet house trained pet OK. Smokers and non-smokers welcome, but please no smoking inside, have smoking outside on the porch with the windows closed or in the yard with the windows closed. 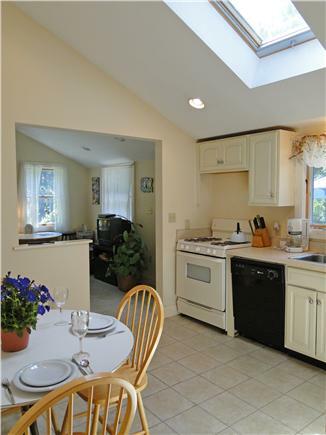 The home is part of a community with access to a nearby private beach with free parking. $200 security deposit. 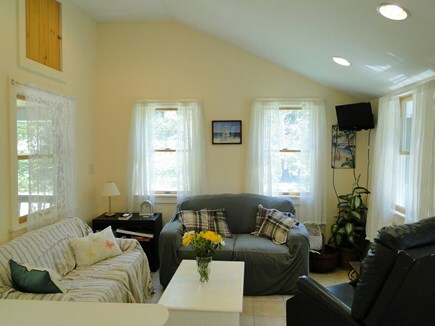 Home is available weekly. Multiple week discount for $50 off per week. The new Massachusetts 14.45% rental tax must be added to the rental price quoted and is collected at the same time as the rent. 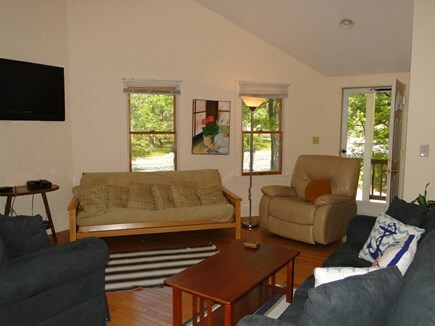 Additional pricing info: There is an additional new 14.45% Massachusetts Rental Tax to be added to the above rental prices. State and local taxes of 14.45% will apply. Was a last minute availability, was a bit hesitant until I spoke with Chris! Within minutes, it was like we knew each other for years! Anything last minute can be extremely stressful, but Chris made it seamless. That being said, I have rented many places since my Cape Cod grandparents have passed, and have been pleasantly surprised how lucky I've been. This exceeded that! 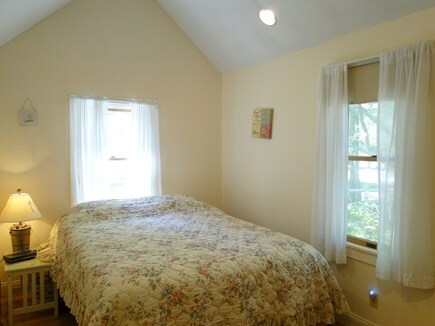 Any "seclusion" concerns are easily remedied by renting on rt 28, or in Hyannis. But for myself, and I'm thinking most others....A little extra privacy, Quiet...is nothing but a Bonus! Its about a 2 minute drive to all the chaos you desire, on rt. 28....or you can enjoy the huge wrap around porch, and actually enjoy the company you have, without constant beeping or other distractions. 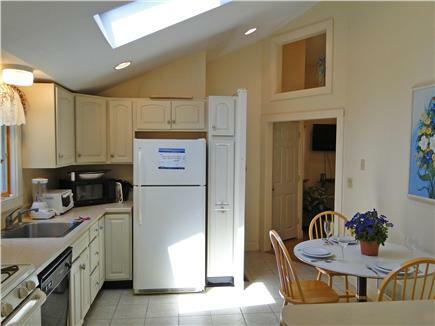 The house had all the amenities (cable, Wi-Fi, central air) and is quite close to the beach, but feels fairly secluded. The owner was kind enough to mail us some things we had left behind by mistake. We will definitely go back if the house is available.